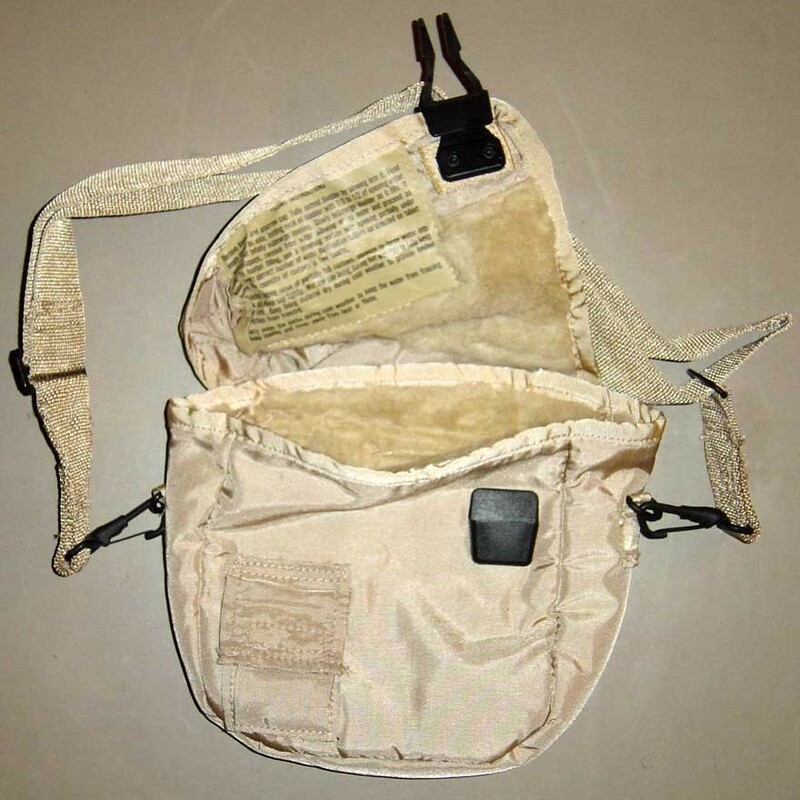 Collapsible two quart canteen bladder. 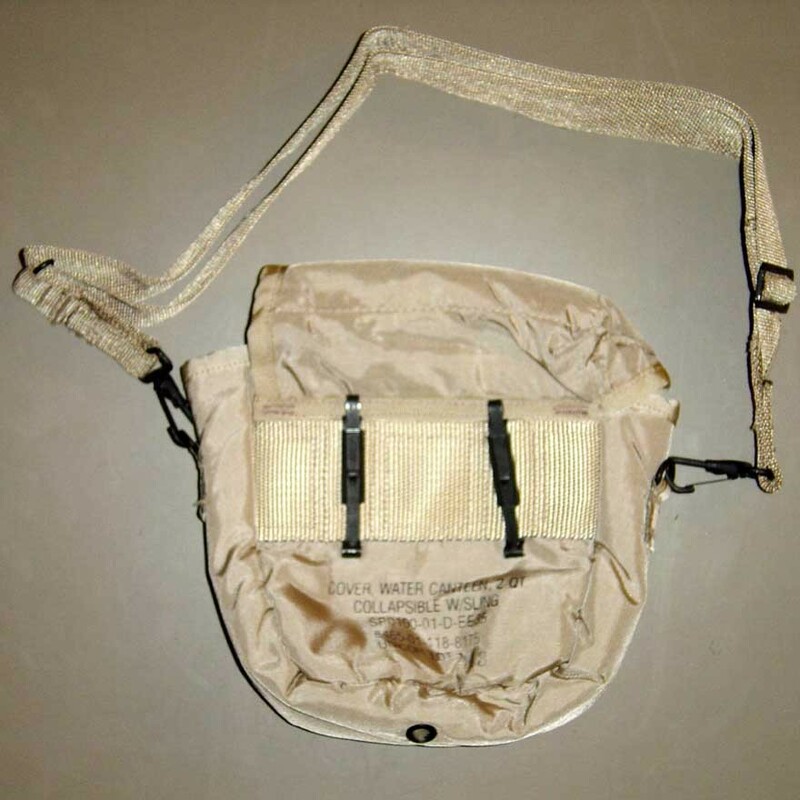 NEW and UNISSUED US Military Insulated 2 Quart Canteen Carry Case with Adjustable Shoulder Strap. 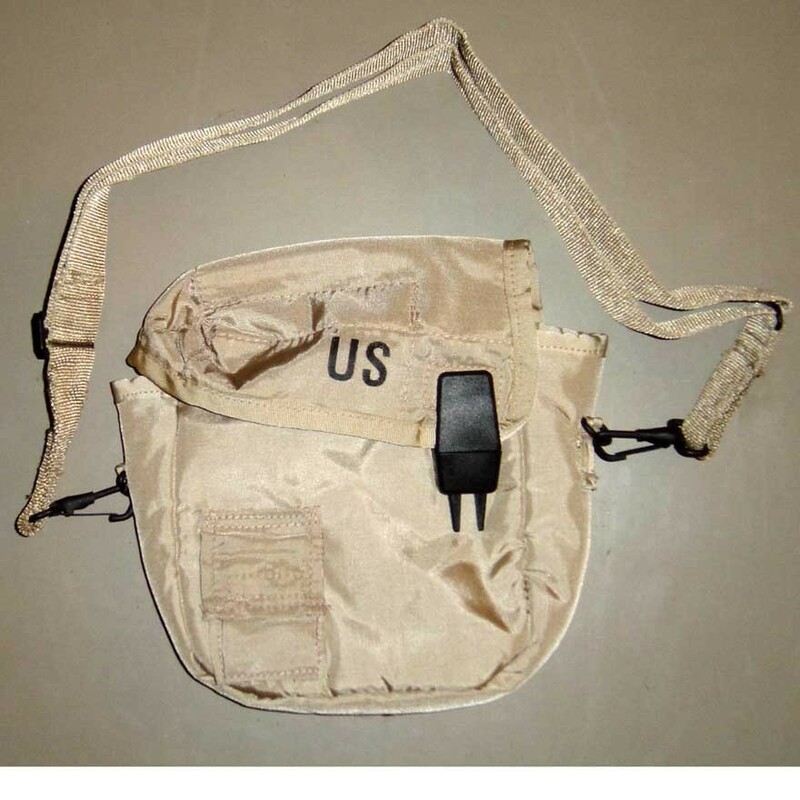 Can be carried over the shoulder or worn on the belt. LC Alice Clips on the back and detachable shoulder strap make this canteen a vital piece of ALICE field gear. Durable double hook plastic snap closure on the case and a small front pocket with velcro closure designed to carry salt tablets to prevent dehydration.